I am glad to report that the PCBs whose design I had sent to manufacturing arrived today. 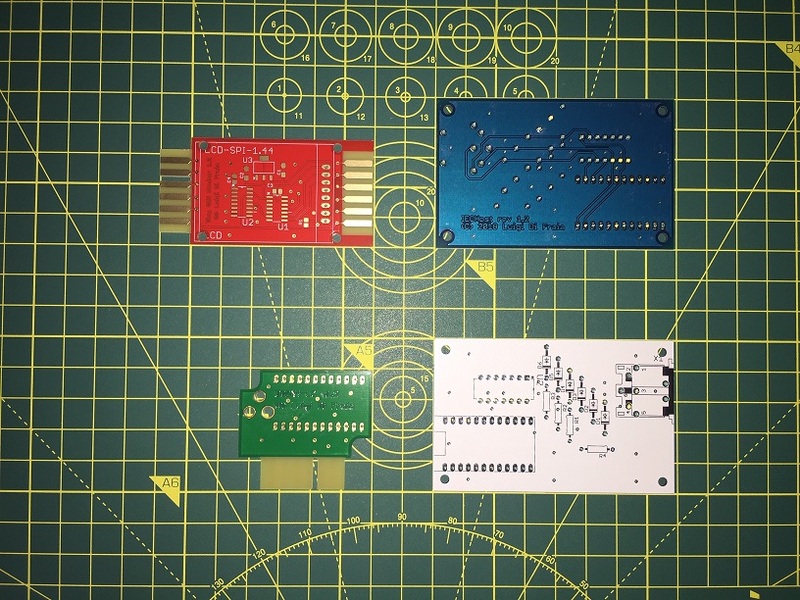 The PCBs in the above image are (top left, then clockwise): Tiny C2N Monitor, IECHost, IECHost “white knight” version, and DC2N4-LC. This entry was posted in Retrocomputing, Technical and tagged Commodore 64, DC2N, disks, dumping, Firmware, IECHost, preservation, retrocomputing, tapes, Tiny C2N Monitor. Bookmark the permalink.